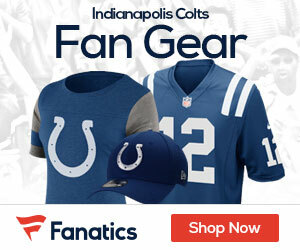 Typically with the Indianapolis Colts, they usually rely on quarterback Peyton Manning to get the job done, which he does with alarming regularity. But as of late, it has been the defense that has saved the day for the Colts, as evidenced by their narrow win over the New England Patriots last Sunday. The Colts would have their hands full Sunday when they went up against a pesky Baltimore Ravens squad at M&T Stadium. Curiously enough, Indianapolis’ defense once again were the heroes as they intercepted a Joe Flacco pass, allowing Indianapolis to remain undefeated, edging Baltimore 17-15. The Colts drew first blood, going 87 yards on seven plays, capped by a 3-yard TD pass from Manning to tight end Dallas Clark (one-handed, no less! ), giving Indianapolis an early 7-0 lead. 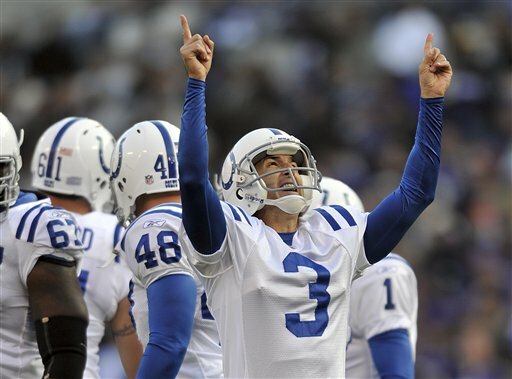 A pair of field goals by newly-signed kicker Billy Cundiff (46 and 44 yards, respectively) narrowed the Ravens’ deficit to 7-6; a pair of field goals by Cundiff (38 and 36 yards, respectively) sandwiched around a 5-yard TD run by the Colts’ Joseph Addai, allowed Indianapolis to take a narrow 14-12 edge going into halftime. The third quarter was 15 minutes of ball control warfare, for the most part as no scoring took place. The fourth quarter would find Baltimore tacking on another field goal by Cundiif, giving the Ravens their first lead at 15-14; just over three minutes later, former Ravens kicker Matt Stover put Indianapolis ahead 17-15 with a 25-yard FG with 7:02 remaining in the game. The Colts would ice the win when the Ravens’ Ed Reed fumbled on a punt return with 17 seconds left. Manning put up un-Manning-like numbers as he went 22-of-31 for 299 yards with a TD and 2 interceptions while Joe Flacco went 23-of-35 for 256 with an INT. Addai rushed 19 times for 74 yards and a score while Ray Rice rushed 20 times for 71 yards while catching 7 passes for 64 yards. Pierre Garcon led all Colts receivers with 6 receptions for 108 yards while Reggie Wayne caught 7 passes for 89 yards; tight end Tom Santi caught 6 passes for 80 yards. Derrick Mason led the Ravens receiving corps with 9 receptions for 142 yards while the aforementioned Rice caught 7 for 64 yards. Indianapolis (10-0) looks to extend their winning streak to 20 when they travel to Houston to take on the Texans next Sunday while Baltimore (5-5) remains at home to host the Pittsburgh Steelers – also next Sunday.